Engine notes are a funny thing. They don't add anything to a car's performance capabilities. They don't improve emissions or lower fuel consumption. They don't contribute to ride quality or overall refinement – in fact you could argue just the opposite, at least indirectly. Yet automakers spend a great deal of time and resources to ensure their cars sound just right. Few engines emit the kind of throaty, raspy burble that a V8 crafted by AMG does. The Mercedes-Benz performance division just makes some of the best sounding engines around. 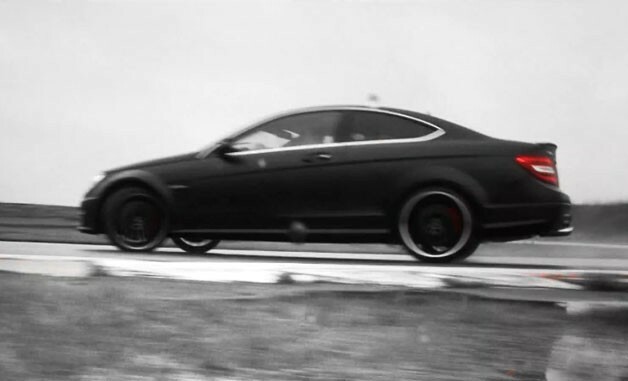 But you don't have to take our word for it: follow the jump to watch – and more importantly hear – the new C63 AMG Coupe sliding around a wet track – without any background music, voiceover, or even much color to distract from the sweet, sweet sound of the 6.2-liter, 450-horsepower V8 revving in all its glory.